A unique adventure game full of exploratory expeditions to the various underground worlds on different planets. Travel with your Minaur through the game universe, discover new worlds, their unique environment and inhabitants. 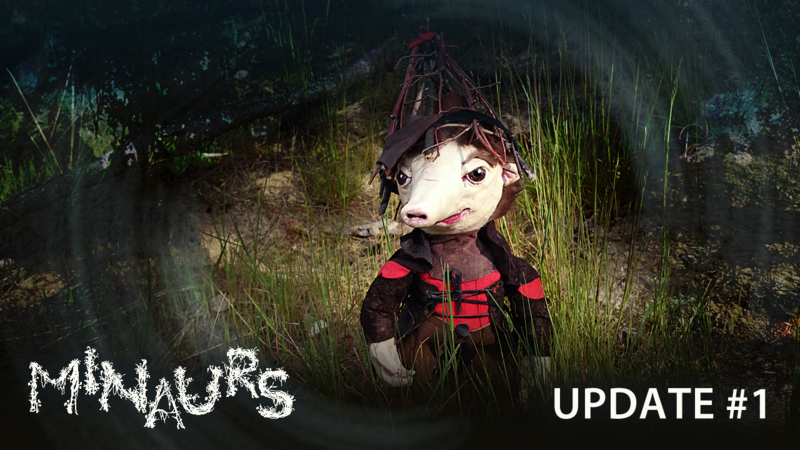 Lead your Minaur safely through underworlds to gain knowledge and collect The Mighty Resource. Complete various quests, develop your character, collect loot from various animals, and rescue your trapped mates. Reunite the Minaur Nation and become a legend! It all depends on your in game decisions. The game has a nonlinear progress unique to each player. Enjoy a blend of adventure, action and logical game with RPG elements. Experience the atmosphere of unknown worlds, underlined by detailed graphic and sound design. Discover hundreds of unique locations with living interactive environments, various animals and many hidden surprises. Get all 147 available knowledge hints. Take advantage of the environment and specific animal behaviour in your favor. Learn, upgrade and use up to 28 special abilities. different attributes of your Minaur. Avoid the fulfillment of the 14 Failures, that reveal your Weaknesses. Gain up to 72 different Achievements and compete with other players. [Announcement] Minaurs game UPDATE #1 is LIVE! Quick skill cast on right mouse button. More clicks will cycle through available domains. Left click outside skill cancels skill cast. We would appreciate any ideas and feedbacks.